Getting back on track with the Home Grown Journal has taken a week or so whilst I’ve been getting me head round how best to move forward following the demise of the mac. Seems like moving forward and creating new memories as Lou and I fall into autumn is the way to go as we’ve been out and about collecting leaves for the worm bin. Just maybe it’s about time that i got round to sharing a little more information with you for what’s happening where in the backyard with the weather, what’s growing where and whatever else is going on with Guerrilla Podcasts Home Grown? Whether you call it a diary, a journal, or something else? At the end of the day does it really matter? 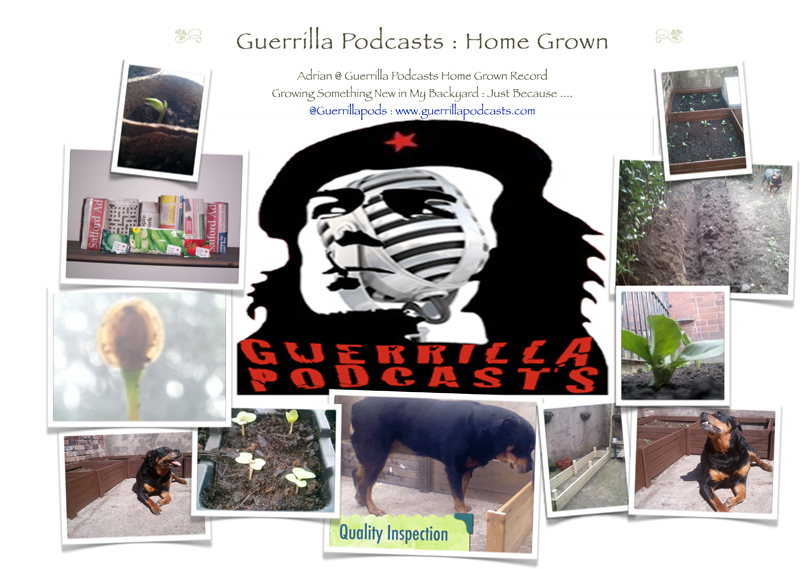 For the now i’ll call it Guerrilla Podcasts Home Grown Journal and go with the flow!